The one showing True Repentance: “Therefore bear fruits in keeping with repentance,….The man who has two tunics is to share with him who has none; and he who has food is to do likewise.” – Lk 3:11. John recognized that the people coming to be baptized wanted to flee from the wrath to come, but he would not baptize them unless they sought it spiritually. Y or N, I am REPENTING and turning away from past sins and want to walk according to God’s will. Y or N , I BELIEVE in the resurrection of Jesus Christ. Y or N, I want to be part of the KINGDOM of Jesus Christ AND I agree that those who believe and are baptized will be saved? Y or N, I am very interested in be called a DISCIPLE of Jesus Christ. Y or N, I need to be repent and be baptized to receive forgiveness of sins. Y or N, I receive Peter’s message to be SAVED and FORGIVEN from this perverse world. Y or N, I am an ADULT who believes in the good news that Jesus died for my sins. Y or N, I understand the urgency of being baptized to have my sins washed away. Y or N, I understand that to raised up with Christ I must first be buried with Christ in baptism. Y or N, I understand that WHEN I am immersed into Christ the Holy Spirit adds me to the body of Christ — the church. Y or N, I understand that UNTIL I am baptized into Christ I am still unclothed. Y or N, I understand that I first need to be buried with Christ so that I can be raised with Christ. 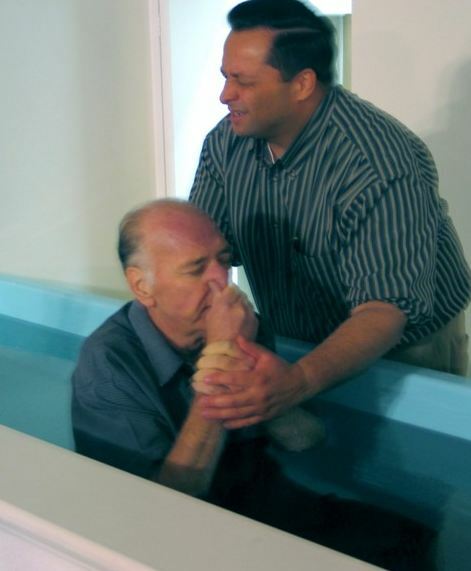 Y or N, I see that baptism saves me because my faith is in the resurrection of Christ. Y or N, I will focus my life on being devoted to these things that characterize the New Testament church of Christ.